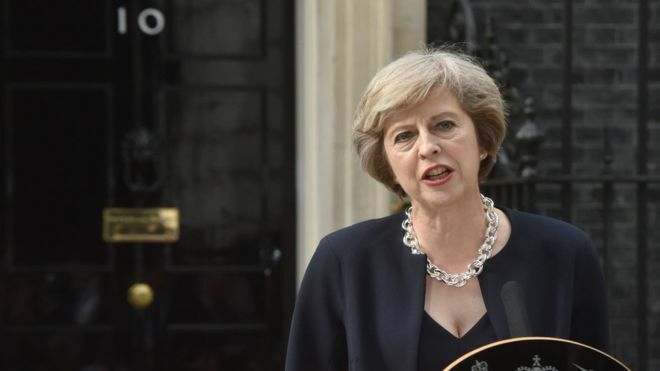 Despite Theresa May’s attempt to bill herself as a compassionate and egalitarian leader, she is pressing ahead with plans to reduce the protection afforded by human rights laws. Organisations concerned with justice have already been nervously awaiting the various details of the Bill of Rights, which will replace the Human Rights Act. Now, the Conservative Party have announced plans for the British military to opt-out of the European Convention on Human Rights (ECHR). The aim is to prevent what May calls an ‘industry of vexatious claims‘ against our soldiers. In particular, it seeks to restrict the ability of people to claim they have been subjected to certain human rights abuses by British soldiers who served in previous conflicts. The ideology behind this policy is that soldiers have gone out to risk their lives for the UK and therefore should not have to endure the stress of defending false claims that they violated other people’s rights. The proposal is potentially a vote winner because it is seen as defending the military against a society that has become too politically correct and obsessed with human rights. However, vote winning or not, it is based on a misguided and patronising view of our brave soldiers. We should seek to hold our military to the highest standards in the world – the most professional, able and moral. Lessening the requirements on them to be held to account if they do something wrong does not show the British armed forces the respect they deserve. It wasn’t long ago that the Tories brought in tribunal fees to put workers off from bringing claims in employment tribunals. This too was based on the argument that there are too many vexatious claims. Workers’ rights campaigners highlighted that many cases are brought legitimately; a campaign that went ignored by the government. Similarly now, human rights organisations have been quick to point out that the vast majority of claims against the military are not false or vexatious. Therefore, no matter how stressful or expensive defending a claim might be, it is right that there is recourse to upholding human rights. This right should apply no matter what nationality or colour the claimant may be. Only days ago we saw in the press that our soldiers are being accused of committing multiple acts of torture against Iraqi men, women and children. The devil will be in the detail but, if the Conservative Party proposals hope to prevent these types of claims from being heard, they are a backwards step for our nation. When announcing this proposal the government emphasised the cost to the taxpayer in defending human rights claims against soldiers, suggesting it is a waste of our country’s money. This may well be a popular narrative, after all, who wants to waste money defending false claims? However, it is depressing that the cost of human rights can be seen as an excuse to remove the access to justice. As with legal aid cuts, this policy sees justice as something that is expendable if it costs more than the government would like. The patriotic rightly want to see British soldiers protected from spurious claims. A system of throwing out cases without evidence is what is needed – it is most unpatriotic to want to remove the need to comply with certain human rights laws altogether. Where would this stop? Is the fact that a police officer’s job is stressful a reason not to expect the forces to comply with equality standards to tackle problems with institutional racism? Of course not. The proposed policy is an ironic failure in reasoning. The ECHR aims to ensure British people fulfil their obligations to treat other humans with dignity when representing our country at home or abroad; a fundamental part of our international standing. The better way forward would be to show the world that our military is expected to treat all humans with the highest level of respect. Let’s set the standard higher, not lower. If we didn’t have ambulance chasing lawyers trying to dredge up non-existent cases against our armed forces this would not be necessary. In wartime the Geneva conventions are more than sufficient standards for the services to meet. Breaker Morant was executed for his treatment of prisoners long before anyone heard of the ECHR, so I wonder how much difference this makes.